I have gone a bit crazy with skincare. Considering that I never had anyone to guide me to start taking care of my skin from a very young age I was a late bloomer (my mom doesn't know anything about skincare, sigh, I wish I was korean!). Now in my mid 30s I need to be even more careful with my skin. Face Masks have become one of my favorites in the past year and I am discovering new and better products. 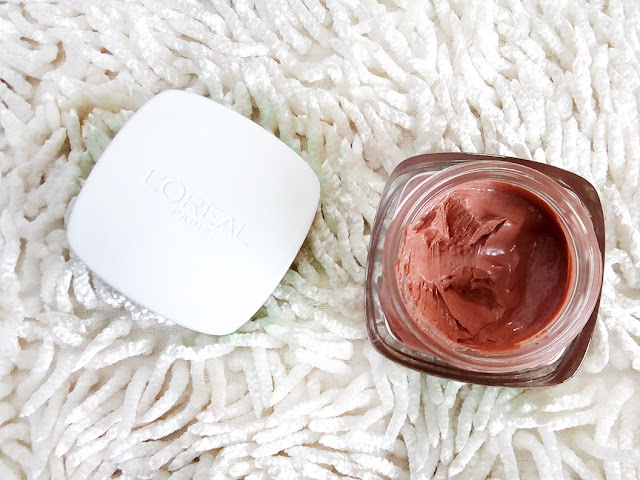 A recent and absolute favorite of mine that I have been using for the past month (to test) is the L'Oreal Pure Clay Mask with red algae. The *Red Algae Exfoliate and Refine Treatment Mask is pure love, other than being pure clay. I have mature combination skin so I chose this mask for it's Exfoliating and Refining qualities. You can actually pair it up with other masks from the same series or other brands (I pair it up with TBS Masks also). However, it gave me the best results when I used it alone. I use it twice a week, sometimes thrice too and my skin is visibly smoother and brighter. 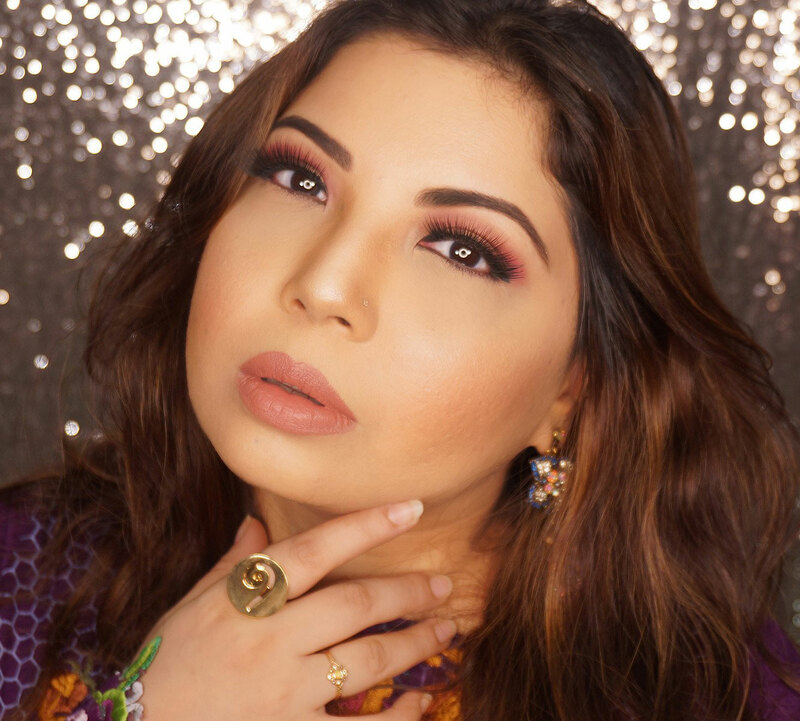 Pores are minimized, dirt and oil removed, my skin starts breathing properly every time I use it and the immediate result is tight, fresh skin. I glow, yes, without highlighters. Apply and leave this mask on for 10 minutes. I use a silicon spatula or a foundation brush to apply it on my face because it's more precise as well as easy. 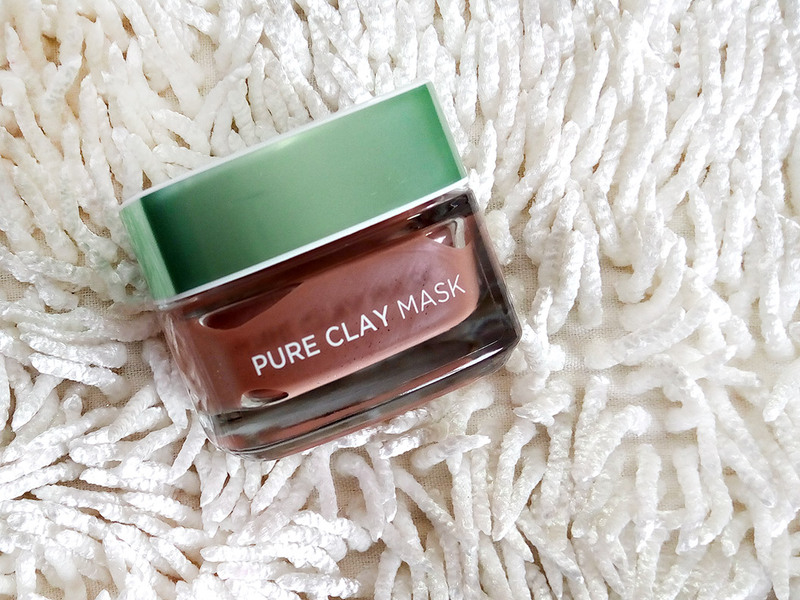 Clay like consistency, obviously, this mask has a very strong, grassy smell with a hint of floral fragrance. The strongest smell was very similar to cardamom and didn't bother me, I found it quite refreshing. Wash off with normal water and pat dry followed with toner and moisturizer (very important!). What makes this clay mask special? 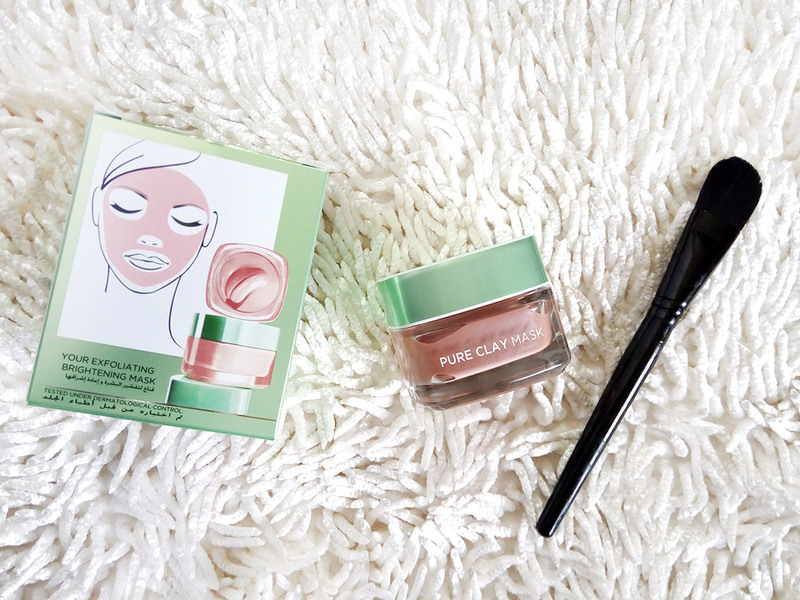 This clay has active ingredients which means ingredients that are working on the spot! Other than having potent pure clay and volcanic rocks which get rid of dead skin and imperfections this formula contains Red Algae extract (plant extract as its a kind of a seaweed) that has tons of potential benefits for your skin. It is full of antioxidants and considered a skin texture enhancer. Red Algae is a rich source of natural polysaccharides which lead to enhancing skin’s barrier function, replenish the skin’s natural water reservoir, and increase its moisture-retention capabilities. Sounds splendid, yes! 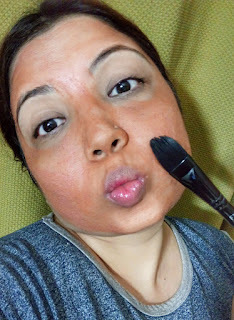 Yes, I look ridiculous on the left with the mask on, but believe me, its worth looking like a sun dried tomato for a bit if you really know what it's doing for your skin! The reason I got this mask is because I needed it. I already have a Charcoal Detoxing mask from TBS which I sometimes pair with this one but I know I will end up buying the L'Oreal Detox and Brighten Mask soon because I have tested and loved that too. 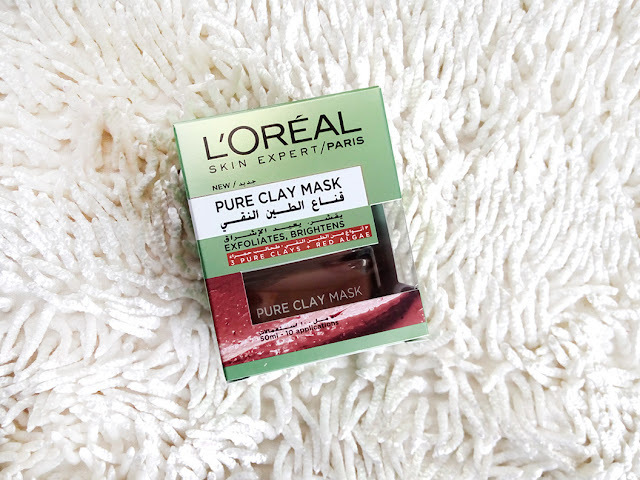 You can get L'Oreal Pure Clay Masks for Rs.1,099 From most Makeup stores as well as online from Daraz.pk. Get more updates from L'Oreal Paris HERE. Really need to get my hands on this mask. Been reading rave reviews everywhere!!!! Ok I am getting this mask it's decided 😉 and your review is to blame 😀 Great review as usual. No doubt this mask is amazing.